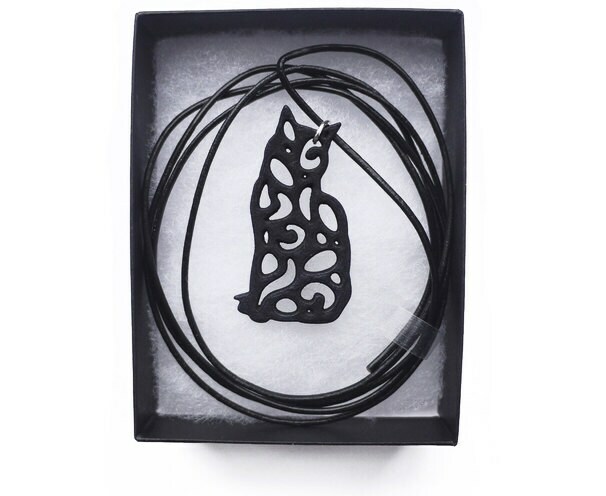 The harlequin cat necklace can be worn with a leather cord (as supplied) or with your favourite chain or necklace. 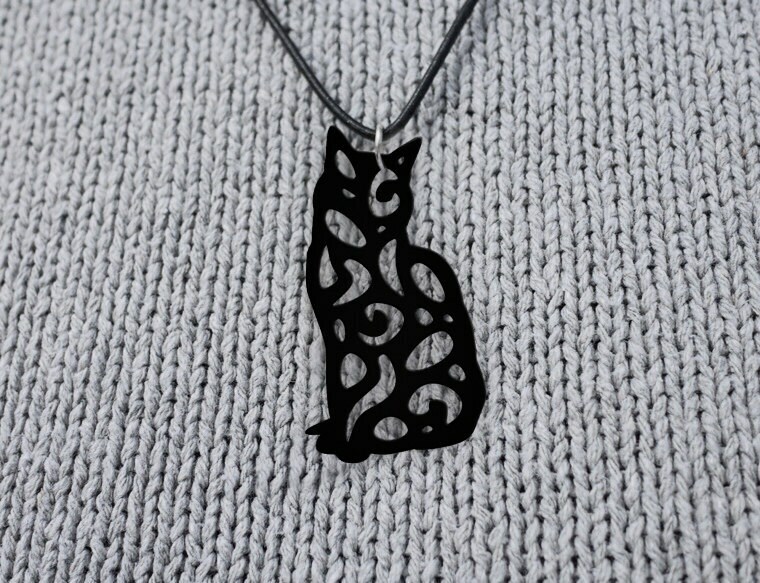 A lovely gift for cat lovers, this unique cat pendant will provide an elegant cat necklace for any occasion. Colour of the pendant is satin black, material is resin, leather cord is black. Please be careful ... Not intended for children ! another original, stunning piece, the pendants arrived in perfect condition, the cats on the mailer are very unique too, I carefully peeled them off.